THE LORD OF THE RINGS ONLINE(TM): SHADOWS OF ANGMAR(TM) interactive video game (c) 2006 The Saul Zaentz Company d/b/a Tolkien Enterprises (SZC). All rights reserved. Game technology and software (c) 1995-2006 Turbine, Inc. and patents pending. All rights reserved. 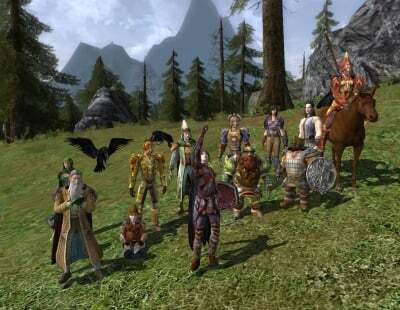 "The Lord of the Rings Online", "Shadows of Angmar", The Watcher logo, "The Lord of the Rings" and the names of the characters, events, items and places therein are trademarks or registered trademarks of SZC under license to Turbine, Inc. Turbine and the Turbine logo are trademarks or registered trademarks of Turbine, Inc. in the U.S. and/or other jurisdictions. All other trademarks are the property of their respective owners.